"I was raised during the 20th century when literature was important. Now none of that matters because the 80s cyberpunk dream came true with SL-VR. Either you know this or you just don't get it." - product of disposable culture meets indigenous spirituality. 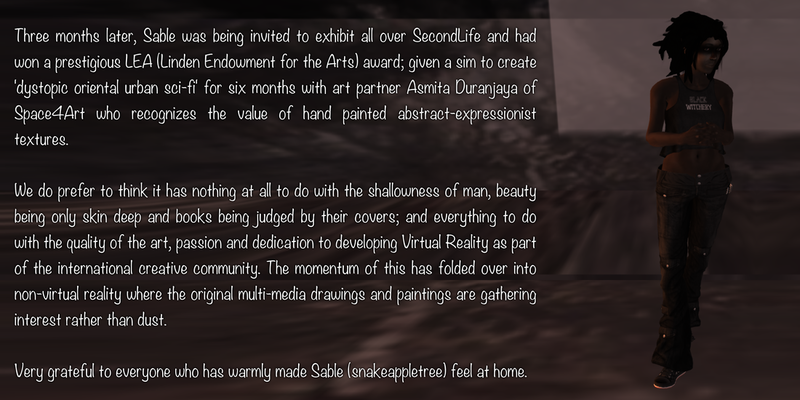 Sable is my avatar in SecondLife. She is female because I prefer to look at her than at a sprite of my own body.